Archimedes Biography: Who Was Archimedes and What Was He Famous for? Archimedes of Syracuse (pronounced ar-ka-meed-eez) is considered one of the greatest mathematicians in history. In fact, he is believed to be one of the three greatest mathematicians along with Isaac Newton and Carl Gauss. His greatest contributions to mathematics were in the area of Geometry. 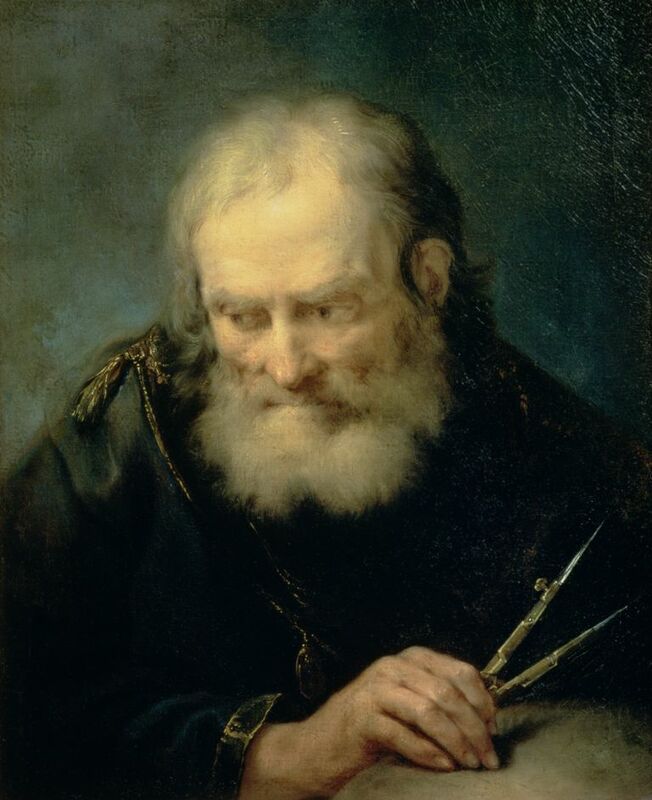 Archimedes was also an accomplished engineer and an inventor. He was believed to have been obsessed with Geometry though. Archimedes was born in Syracuse, Greece in 287 BC and died 212 BC after being killed by a Roman soldier who did not know who Archimedes was. He was the son of an astronomer: Phidias of whom we know nothing about. Archimedes received his formal education in Alexandria, Egypt which at the time was considered to be the 'intellectual center' of the world. When he completed his formal studies in Alexandria, he returned and stayed in Syracuse for the rest of his life. It is not known whether he ever married or had children. Discovered how to find the volume of a sphere and determined the exact value of Pi. It is believed that he was actually the first to have invented integral calculus, 2000 years before Newton and Leibniz. A formula to find the area under a curve, the amount of space that is enclosed by a curve. Apparently when taking a bath, he discovered the buoyancy principle and jumped up and ran through the streets naked shouting 'Eureka' which means - I have found it. Who -- or what -- was a Bogomil?